Gujarat State Road Transport Corporation has introduced monthly pass for passengers and concession for students online. People can apply for monthly pass and weekly pass by filling up form details online and taking PDF print out of the same. The concession for students are available for school and colleges bus passes weekly and monthly basis. You can pay for tickets and passes online and take confirmation print out which acts as your journey ticket. Right now passes are available for Express, Gurjarnagri and Volvo bus services of GSRTC online. The validity of passes have been extended on return journey along with single journey tickets. Once can also avail pass facility on Mini Buses travelling across various cities in Gujarat. Please find more information in the below given instructions. The monthly pass system has been brought up to allow bus transport service collect advance money for issuing tickets across the entire month of travel. This has been a welcome initiative to drive more people use public transport on daily basis for wider travel options. With the recent competition of passenger service with Indian Railways booming up, GSRTC has taken appropriate steps to diversify the fares and travel options to the passengers for further attention. These days more and more people are opting to travel by short distance buses for important office works. Students across the state involved in travelling from one place to another in pursuit of education can avail discounted passes online. Apart from the original pass rates and structure, students are given extra 20 percent flat discount on travel by GSRTC Buses if availed for concession early. These passes are issued for a duration of six months of travel. Weekly passes have been introduced to allow passengers and students pay for any number of travel by buses over a defined route. This has given GSRTC an option for business people travelling across the cities for avail the option for better benefit. Now you can fill the details over the application registration form online and avail benefits of monthly pass system in GSRTC buses. You would need the following details to be filled with accuracy as per photo identity proof of the individual. Now the most important part - Mention your route details. Here write the originating station from where you take the journey on daily basis, example - Ahmedabad Gitamandir Bus Stand and mention the destination station as well. Therefore your pass fare will depend on the kilometer stretch of the journey availed on daily basis. Another important part - Mention which buses are appropriate for you in terms of daily commuting. If Express buses only - then fare will be less as compared to availing option of Gurjarnagri and Volvo bus. What is the Fare / Ticket Price / Rate of Concession Monthly / Weekly Passes? Is there any concession for students going weekly and sraying in hostel. Means once in a week doing uo and down. 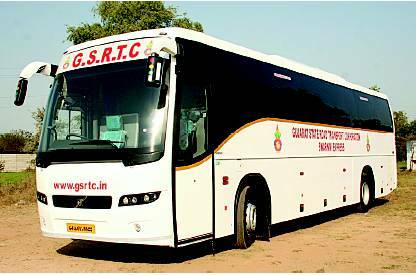 Is Gsrtc student pass valid on sunday?